A new device called the NSS – 2 Bridge (or “The Bridge”) has been approved for opioid withdrawal by the FDA. Innovative Health Solutions, a company in southern Indiana produces the new of its kind drug to combat the symptoms of withdrawal during addiction recovery. 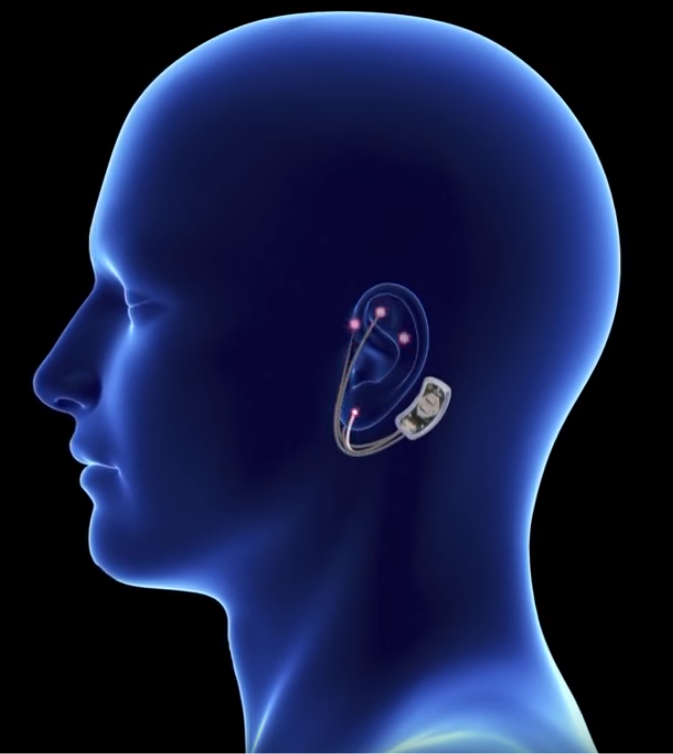 “The Bridge” is roughly the size of a half dollar, and sits in the individuals ear, it then sends electrical impulses to the cranial nerve and aims to cut down on the symptoms associated with opioid withdrawal. In the November 15th press release, FDA Commissioner Scott Gottlieb detailed the features of the Bride and explained its approval. As the epidemic rises, the FDA is prepared to find “Innovative new ways” to combat the opioid crisis. In order to prevail over the widespread drug addiction, better medications and new devices need to be created, along with different methods of treating pain that do not cause addiction. The NSS -2 Bridge device is small electrical never stimulator placed behind the patients’ ear. It contained a battery powered chip that emits an electrical pulse to stimulate branches of certain cranial nerves. Such stimulations may provide relief from opioid withdrawal symptoms. Patients can use the device for up to five days during the acute physical withdrawal phase. The withdrawals causes including sweating, gastrointestinal upset, agitation, insomnia and joint pain. To get to the FDA approved stage, the Federal Drug Administration reviewed data from a single arm clinical study of 73 patients undergoing physical opioid withdrawal. It evaluated patients clinical opiate withdrawal scale (COWS) score. The clinical assessment conducted by health care professionals that measures opioid withdrawals symptoms such as a patient’s resting pulse rate, pupil size, gastrointestinal issues, bone and joint aches, sweating, tremors and anxiety. COWS scores range from 0 to more than 36, the higher the number, the more severe the symptoms are to the patient in active withdrawal. Prior to using the device, the average score for all patients was 20.1, study results showed that patients had a reduction in COWS of at least 31% within 30 minutes of using The Bridge. Overall, 64 of the 73 patients (88%) transitioned to medications assisted therapy after using The Bridge for 5 days, along with any other medications needed for persistent symptoms, like nausea and vomiting. This device could be a breakthrough in the fight against opioid abuse. Many users are terrified of the withdrawal symptoms and use that as a reason to avoiding quiting the drug that could kill them. With The Bridge, a 5 day stretch of moderate pain could transition them into a sober life.